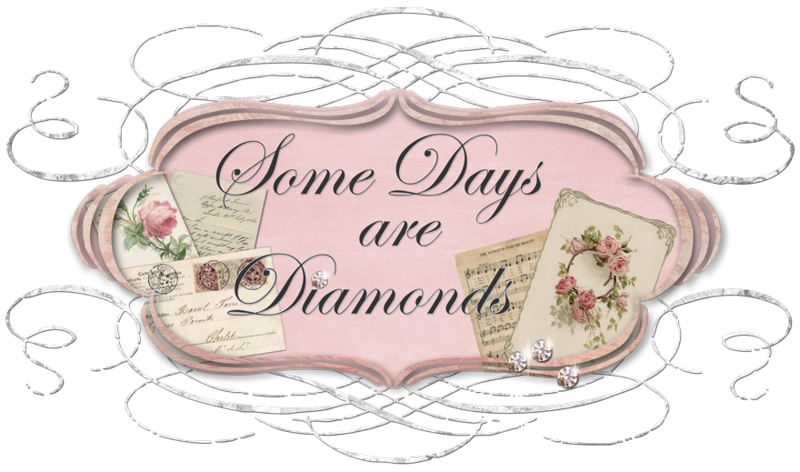 Some Days Are Diamonds: Fun times!!!! for her Petite Bead Box Swap! OH! MY! GOODNESS! Talk about FUN STUFF! On another note - the next two ladies are having the most beautiful giveaways! and the sewing machine drawer! You have until 6-22 to enter. 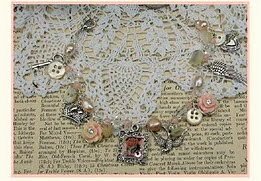 is giving away this bracelet she created in honor of her Mom. You have until 6-30 to enter. That's it for today. Off to work I go . . . it's cool and drizzly out . . . a good day to stay home and just play in my studio ~ but ~ maybe tomorrow . . .
Ah, such beauty! Lucky YOU getting to meet Cassandra!! I joined in on the bead swap too!!! I found you thru Jodys blog and glad I did!! I love your blog and am your newest follower! The sorority sisters sounds sointeresting and I'm going to check it out!! Thanks for sharing the fun Karen! Have a good day! Looking forward to Sorority Sisters! Hello Karen! 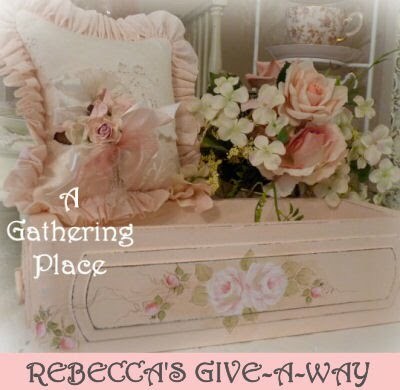 I will definitely check out A Gathering Place and also Home and Heart. Those guys really seem to do some beautiful work. Thanks for sharing them with us! Looks like fun! I did the ezine but never a swap:) Have a glorious day out there! Don't work too hard! HUGS! So glad you are having fun with the swap. I was in one and I had a great time shopping and then getting my package. Swaps are fun...i'm doing an art collage swap, my first time...and it's such a thrill! i love blogland....and your jewel box is adorable! Sounds like fun. I haven't done a swap, but maybe when things in my life are a bit more normal. The giveaways look wonderful. There is a new one at my place today! Oh, I'm so glad you joined Cassie's bead swap. It's going to be a fun one! Sounds like a great swap! Thanks for sharing the fun Karen! Thanks for sharing Karen. I've joined Cassandra's bead swap, and of course giveaways are always great! Thanks for grabbing the button for mine.